Is Driving An Old Car A Good Idea, Even If In Good Condition? It’s a good question, as most of us can’t afford to buy a new car, so our daily drivers are vehicles that have some age to them. When we go looking to purchase a car, the question often asked is it best to buy an old car and save some money, or spend as much as you can on something modern? 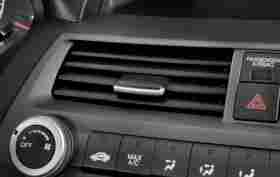 Well, indeed newer cars come with lots of gadgets you don’t expect to see on cars ten, twenty, or thirty years old. Most come with highly fuel-efficient engines, satellite navigation, and connectivity to music players and the internet, and probably most important of all they meet all the latest stringent safety standards. As much as we love vintage and classic cars, we know that they were never built to the same safety rules vehicles are required to meet these days. It wasn’t until the mid-1960s that automakers started seriously considering the safety aspects of their cars, for the occupants and other road users. About that time seat belts began to be fitted in all new cars, along with padded dashboards. Since then crash testing has become mandatory, and technology has moved on leaps and bounds, with such manufacturers as Sweden’s Volvo pioneering impact crumple zones and airbags. Many of the cars on our roads are twenty years old, or more, and during their lifespan car safety has advanced remarkably. Research from the US National Highway Traffic Safety Administration bears that out. The findings show that the older the car, the more likely the driver will die in a crash. We can understand that there will be a higher risk, but the NHTSA discovered that if you are driving a car at least 18 years old, you are 71% more likely to die in a severe crash than a driver of a vehicle less than three years old. The study confirms that the newer the car, the less risk there is of dying in a bad road accident. A motorist in a vehicle 8 to 11 years old has only a 19% greater risk of dying in a crash, and those driving cars that are 4 to 7 years old are just 10% more likely to die than drivers in vehicles up to three years old. One thing is sure from the research; wearing a seat belt improves the survival rate in crashes no matter what age of the car. Not wearing a seatbelt in a newer vehicle eliminates all of the benefits. Wearing a seat belt sees the odds of being killed in a crash drop from 46% in a car twenty years old, to just 26% in something newer. If you’re driving unrestrained the odds of being killed are about 78% in a crash involving an older vehicle but drops to just 72% in newer cars. So why are modern cars so much safer than older ones. In the 1960s car manufacturers learned that their customers were demanding a more reliable product, as the death toll on the roads increased dramatically with traffic volumes. As the years moved on, makers saw that safety was a selling point they could not ignore. Hence, thousands of engineers working for all the big manufacturers concentrate on one thing, and that is to make the vehicles they produce safer. Billions of dollars are being spent on research and development. The best analogy is medicine, there have been tremendous strides in the treatment of disease and conditions which would have been entirely unthinkable thirty years ago. We know cars are getting safer by the falling road death statistics. OK, so we know newer cars are safer, but there is something about a classic motor that can get the heart racing. 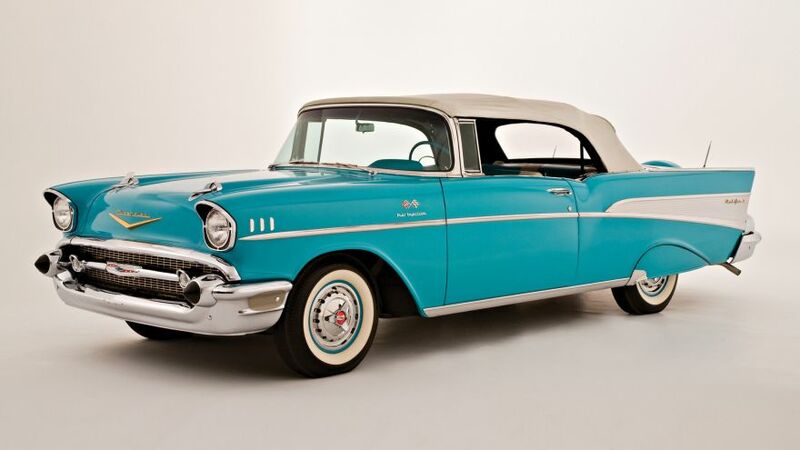 Car restorers will tell you that it can take thousands of dollars to improve the safety of an old or classic car. No matter how much you spend though, it will never be as safe as a modern vehicle. There are six safety upgrades that can be made to an old car to make it safer. If your vehicle is so old it never had seat belts fitted as standard, have new ones installed. If the seat belts are of an older static type, retrofit newer models with pre-tensioners. No matter how good your car is going, it’s the stopping that counts. A good braking system can be a matter of life and death. Disc brakes started to be regularly used on vehicles in the 1970s, and about ten years later anti-lock systems were introduced. For many classic cars, there is a brake upgrade from the old drum style to disk brakes. There are also aftermarket anti-lock systems. A bigger master brake cylinder, and braided rather than rubber hoses will also improve the efficiency of your vehicle’s braking system. In the United States, it was not until the 1970s that radial tires began to replace the bias-ply construction for car tires. The radials radically improved the stopping, cornering, and fuel efficiency of the new cars they were fitted to. No matter how old your vehicles, the tires are the only thing keeping you and your vehicle in contact with the road. Always make sure they are correctly inflated to the manufacturer’s specification, and regularly check for any damage or abnormal wear. A modern car’s rack-and-pinion power steering means you don’t have to have the muscles of a strong man to turn the steering wheel. Older cars often had bigger steering wheels, giving the driver the extra leverage needed to turn corners without the aid of power assistance, particularly at low speeds. If your old car does not have power assistance, consider upgrading, or if it’s a classic, replacing the whole lot with a new rack-and-pinion. The headlights of older vehicles were often sealed-beam units, which usually cast a dim light on the road ahead. A simple upgrade is to replace them with the later halogen headlights, or the most current high-intensity discharge or Xenon lights. The electrical systems of some vehicles cannot accept the Xenon lights. There are lots of aftermarket kits available to switch systems and still keep the look of the original car. For a while, backup cameras have been only available on expensive luxury vehicles, and are relatively new to the automotive industry. US government statistics showed that about a third of all road deaths involving young children and seniors were in backup accidents. So the government has mandated that all new vehicles produced from May 2018 must have one fitted. Systems can be easily retrofitted onto older cars with cameras mounted in license plate frames. There are dozens of reasons why people love old cars. They’re often cheap to buy, easy to work on, and can be great fun to drive. However, they will never be as safe as a the latest model straight out of the showroom.